Retirement living is easy in Queensland, especially on the Fraser Coast with its gorgeous year-round weather and laid-back lifestyle. The Sunshine State has long been a popular destination with active retirees, and it’s easy to see why so many over 50s relocate from the southern states and territories to live life to the fullest in Queensland. Our over 50s communities north of Brisbane currently include Ingenia Lifestyle Hervey Bay on the stunning Fraser Coast, which is a 3.5-hour drive from the bustling capital. As with all our lifestyle communities along the Eastern Seaboard, our Hervey Bay community is an excellent option for independent over 50 downsizers who want to avoid retirement village living. Ingenia Lifestyle Hervey Bay is located perfectly for your over 50s lifestyle. Hervey Bay is Australia’s premier whale watching city and a popular place to soak up the sun, enjoy the beautiful coastal surrounds, boat, fish and love life. With its laid-back, friendly atmosphere and fantastic local attractions, including heritage-listed Fraser Island, Ingenia Lifestyle Hervey Bay is perfect for over 50s living on the Fraser Coast of Queensland. A major benefit for active over 50s living the Ingenia Lifestyle is the safety and security our communities provide. Many of our residents say that the “lock-up-and-leave” nature of our communities makes them feel confident enough to lock up their homes to holiday and travel to destinations locally and abroad. 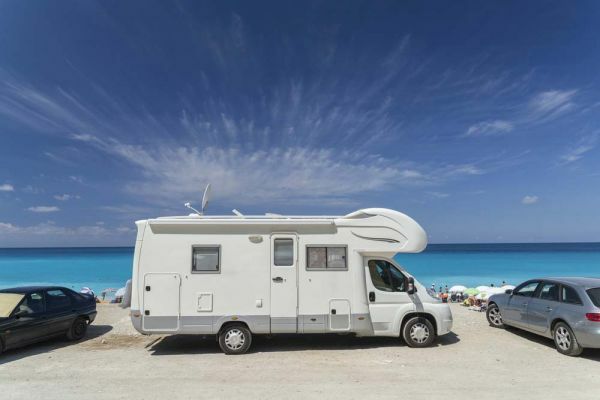 Combined with affordable site weekly site fees and the Ingenia Gold Card which provides exclusive holiday benefits, you too could be packing your bags or loading up the caravan for your next exciting adventure. Whether you’re planning on taking extended journeys or you like to get away for a night or two on occasion, you’ll find our over 50s lifestyle villages allow you to lock up and travel with confidence. If you’re looking for peace of mind when you travel, our Queensland communities are perfect for you. What's it like to live an Ingenia Lifestyle? Our Queensland lifestyle communities offer a friendly, welcoming atmosphere and a sense of belonging as you meet like-minded friends and enjoy an active yet relaxing lifestyle in a well-maintained village. Ideally located with all the amenities you need on your doorstep, the Ingenia Lifestyle empowers you to live retirement life at your pace and on your terms. What’s more, you keep 100% of any capital gains made if you decide to sell your home, unlike a retirement village where leaving can be an extremely expensive experience. To arrange a tour of your over 50s community of choice, contact Ingenia Lifestyle. Downsize to a higher quality of lifestyle!